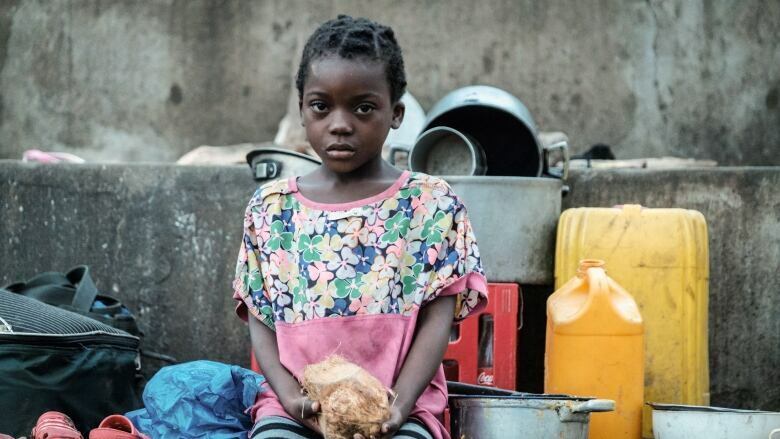 "Our biggest concern is that there are children now who will not have access to education ... because of the destruction of infrastructure," said Shelby Stapleton, senior programs officer for World Vision Mozambique. There are at least 1.8 million people in need of immediate assistance, requiring supplies such as food, blankets and medicine, Stapleton told CBC News on Sunday. "The children are the most vulnerable amongst them," she said as she relayed numbers from the United Nations International Children's Emergency Fund. The UN's World Food Program on Friday declared the Mozambique flood crisis a Level 3 emergency, putting it on par with food emergencies declared two years ago in Yemen, Syria and South Sudan. 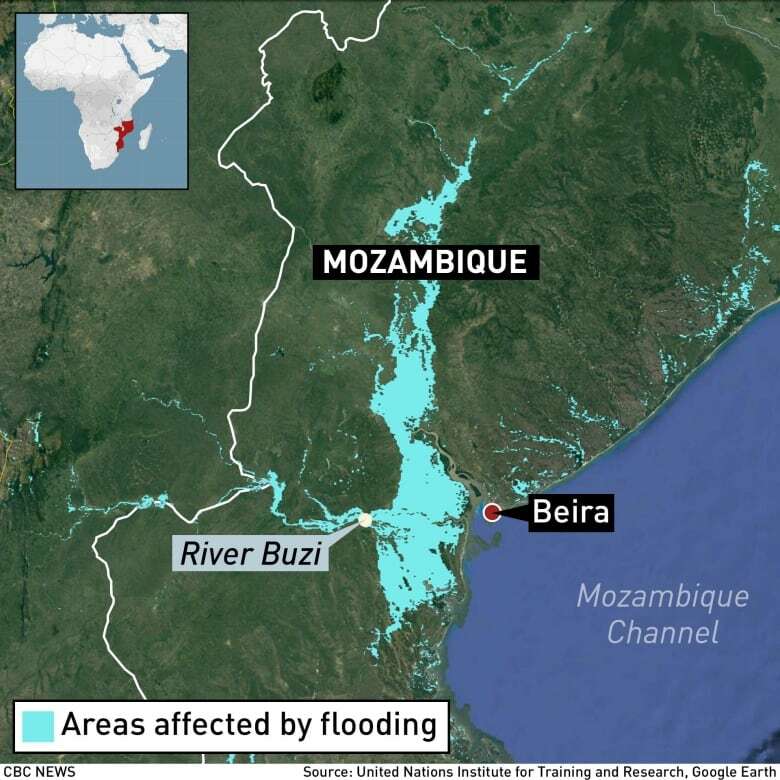 Mozambique on Sunday recorded more deaths from Cyclone Idai, which caused flooding in the three countries and left thousands in camps after homes were destroyed. The cyclone lashed the Mozambican port city of Beira with winds of up to 170 km/h on March 15, then moved inland to Zimbabwe and Malawi. The death toll from the cyclone has risen to over 750 in all three countries affected. This map shows the extent of the flooding on Thursday. Rescue efforts continued Friday, as teams try to determine how many people are in need of help. The Mozambican minister had said on Saturday that some 1,500 people were in need of immediate rescue from rooftops and trees. On Sunday, he said the number of people who needed rescuing had dropped dramatically, without giving a figure. The floods have raised the risk of cholera and other water-borne diseases, and Correia said the government was opening a cholera treatment center in readiness of an outbreak.